Late comers may be turned away. Open to children 12 years and under and now to seniors 65 and older wishing to exhibit their favourite teddy bear. NO Entry Fee Required. 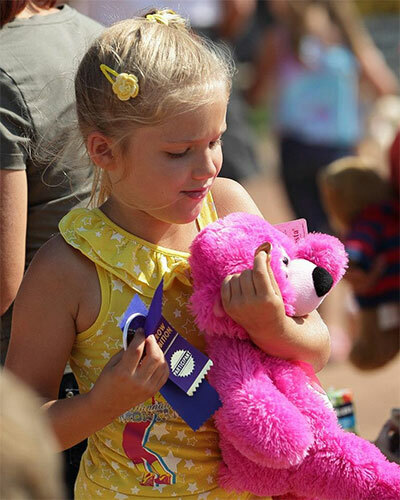 Each exhibitor may enter only 2 categories and one bear per category. Each category must be a different bear. Teddy Bear must be shown by the registered exhibitor. Each exhibitor will receive a ribbon. For the Mom or Dad Calling Contest and the Teddy Bear Parade the office will not take any entries. All entries for the Mom or Dad Calling Contest and Teddy Bear Parade will be taken prior to the event at the arena (see classes for registration times).